It was a rainy Friday night at Civic Field in Bellingham, Wash. The battle for dominance begins. A Storm was about to hit. 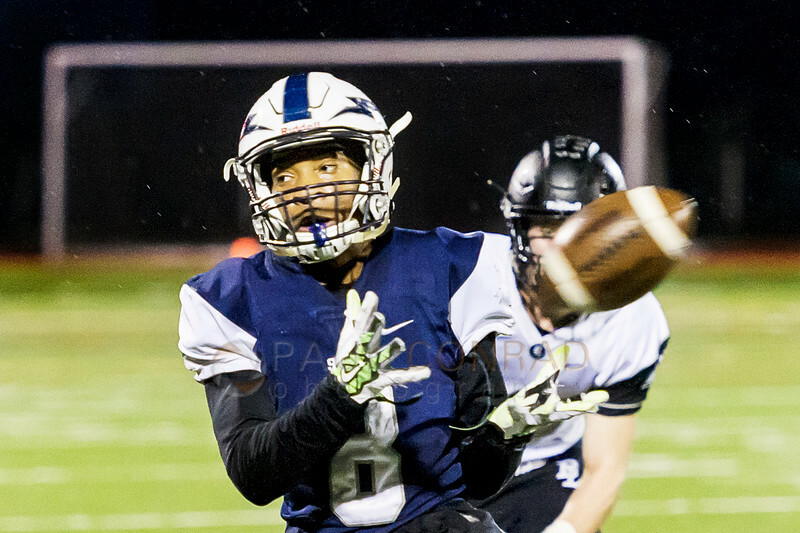 The Squalicum Storm hosted the Bonney Lake Panthers in the first round of the Division 3A state playoffs. The Storm lost 24 to 7 to the Panthers. It wasn’t supposed to rain, according to local weathermen, until after midnight. 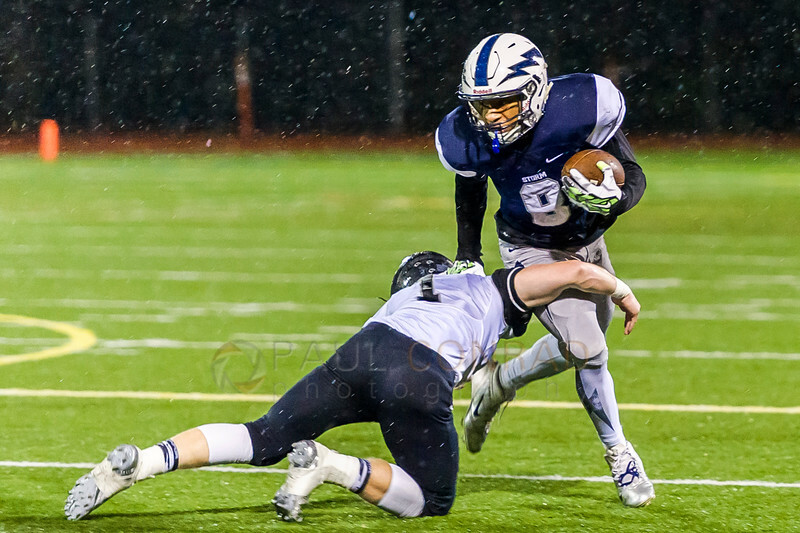 But the rains came as Squalicum fought hard to keep in pace with Bonney Lake. Though I left at the half due to deadline, the Storm battled with the Panthers and pressed hard to score. Even by the second quarter one could see that the Panthers were reading the Storm’s offensive line like a pre-school book. The stayed tight on receiver Damek Mitchell and eventually stopped him from scoring. Bonney Lake defender Braydon Tressler kept close to Mitchell stopping his every play. Squalicum did make some pretty great plays. In the first half, they showed what a great team they can be. Unfortunately, Bonney Lake began reading their plays like they stole the playbook. Late in the second quarter, Squalicum running back Braunz Burr kept getting stopped short of the goal. It was clear Bonney Lake had the game. 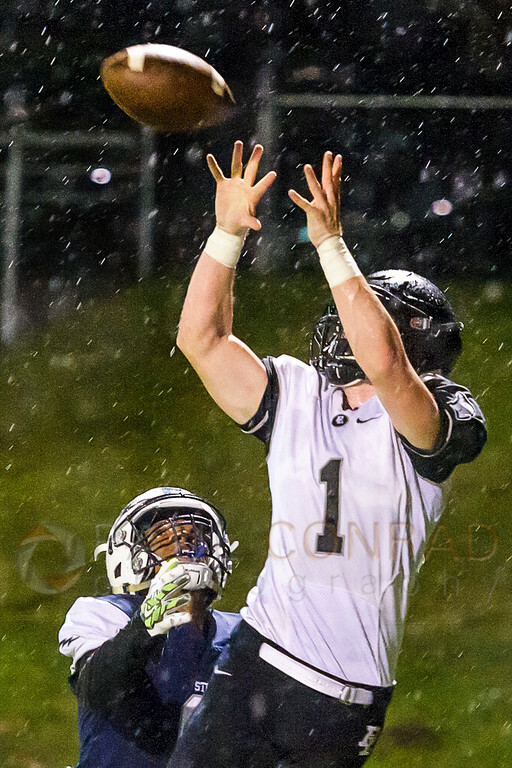 For more images from the game, visit the gallery Bonney Lake defeats Squalicum 24 to 7. 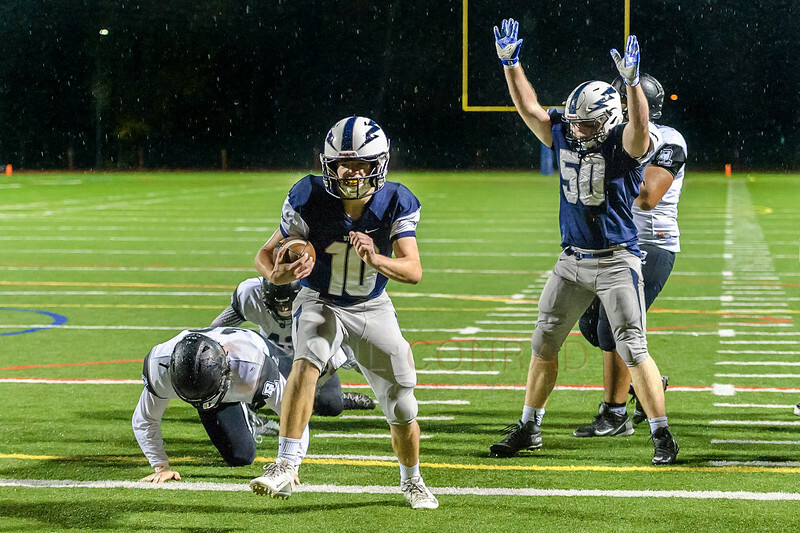 Read more on The Bellingham Herald at Miscues Cost Squalicum in 3A State Playoff Loss to Bonney Lake. To see more of my landscapes and scenics of the Pacific Northwest, visit my galleries at Images of the Great Pacific Northwest.